Oil on linen canvas. 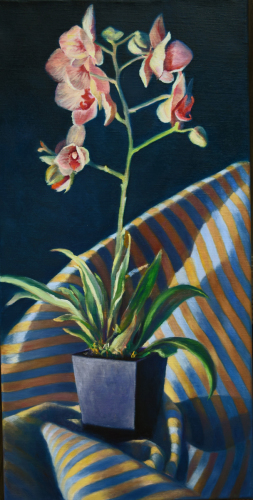 This vibrant orchid is set against a striped, satin cloth and a dark background, creating a bold contrast. Elegantly displayed in a simple float frame. 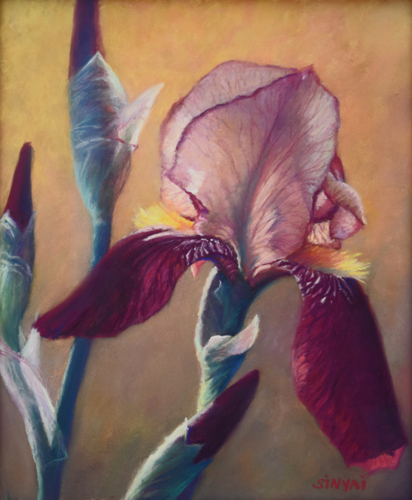 A little pastel painting celebrating the delicate beauty of the iris, both in full bloom and yet unfurled bloom. This is professionally framed in a beautiful wood frame under museum glass.